Wood Windows Edison | Window & Door Outlet, Inc.
Have Attractive Wood Windows Installed on Your Central NJ Home by Window & Door Outlet, Inc. 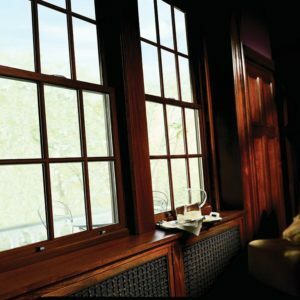 If your home’s windows are no longer providing the performance and beauty that you’d like, consider having attractive wood windows installed by Window & Door Outlet, Inc. We offer wooden windows that provide unmatched beauty, warmth, and design flexibility, as well as outstanding energy efficiency and resistance to the elements. Our window specialists have been installing replacement windows throughout Edison and other Central New Jersey communities since 1997, and we are proud to have maintained an A+ rating with the Better Business Bureau for many years. We also offer several different price categories to ensure that all of our customers can find the right product for their tastes and budget. Additionally, our wood windows offer a wide array of design options – including interior and exterior color choices, unique grille patterns, between-the-glass blinds and shades, and more. You can also choose from several different styles, including awning, casement, double-hung, single-hung, and more. What’s more, we back our windows with some of the best warranties in the business. If you would like to see the quality of the attractive wood windows we offer for yourself, stop by our spacious showroom today. Or, we will be happy to provide a free consultation at your home in Edison or another Central NJ city.